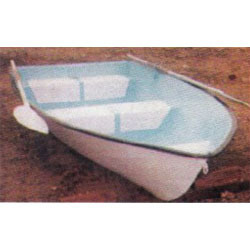 Being the prominent manufacturer, wholesaler and supplier, we are offering an excellent collection of FRP Rowing Boat. Our experienced professionals and creative workers manufacture this ride using utmost-grade material and contemporary machinery in compliance with the set industrial norms. Also, we deliver the entire range from our end after checking properly on several aspects of quality.